favorites. This month has a short list of favorites. I hope you enjoy. This palette is the ultimate in neutral palettes. It's is truly the most natural. It is without a doubt a Bobbi Brown product. Full review here. I had been having a bit of a time with Sheer Glow. It was just not looking good and not working on me. But combined with the next product used underneath it's been great. I've even had people telling me how nice my skin looked and asking me "Are you even wearing makeup?". This is a liquid highlighter that can be used on top, mixed in or under makeup. 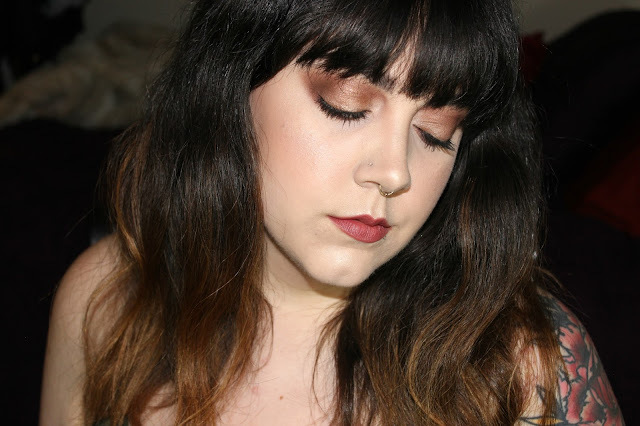 I did a full review of the formula here in the shade Moonstone. It has changed how Sheer Glow sits on my skin and I love it. I could have every shade and I'll be happy, please. I think there have been plenty of raves, ending in abandoned favorites, replaced my this, that there should be no shock seeing this listed in my favorites. I reviewed this here if you want all the juicy details; basically: it's all that and a bag of chips. It's name says it all and you don't need to set it with powder. Yes x 100! I need about, oh I don't know, as many of these as I can have. I am too pleased that Urban Decay has not disappointed in releasing these blushes. Full details here. When you love a brand you find yourself holding your breath that it meets expectations. This was spot on. This is an oldie, a classic, a ride or die, if you will. I tend to not need this in the winter but as we are beyond full swing here in Southern Nevada (116F), I'll take the help. This has been extending the life of my makeup drastically and I forgot how well this stuff works. After taking a break from it, I'm glad it's back. I spoke about this not that long ago here and have used it ever since. If I get something new that I have not instantly been head over heals for, I make myself play with it until I either figure it out or regret ever getting it. This one I was in favor of but did not love. I am now very, very please with this palette and use it all the time. This is now my go to contour brush. It's tapered, but fluffy enough to blend. This is a treat. I want to get more for my kit. There is just nothing more to say other than that it's beautiful, works so well and is weighted enough to sit nicely in the hand. I'm a fan! I had gone a long while without my favorite mascara due to a packaging problem. More on that here. I just can't get enough of this. I buy it, tube after tube and I am always pleased. If you haven't yet tried it, do. It's the tops for full, glamour lashes. for me to try what would it be? Tell me in the comments and let me know if you have any questions.